Sales in a startup may seem like they’re taking forever. You need to sell to grow your team and product, and you find yourself in a vicious circle. But there are a few selling hacks that have proven their worth in giving sales a shot of adrenaline. 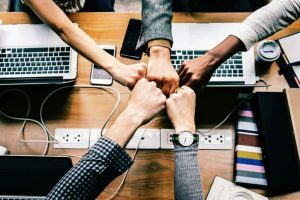 Before you try any of these following hacks – make sure your sales and marketing teams have buried their hatchets and can work together. Or at least that you have those two teams if you’re a budding startup. Because you will need all the help you can get if you want to sell to the maximum. 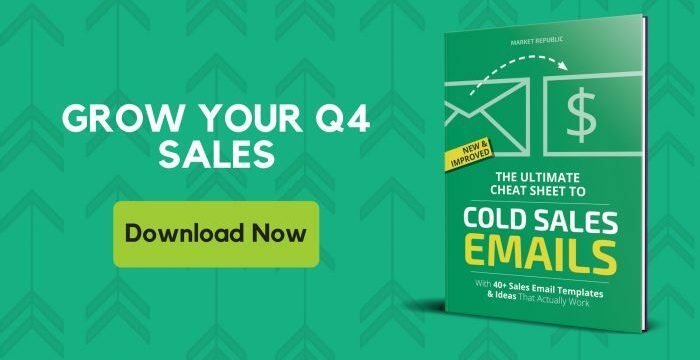 Once you know how to write superb cold sales emails – you’re unstoppable. But it’s not an easy skill to acquire and you will need to practice in order to make perfect. 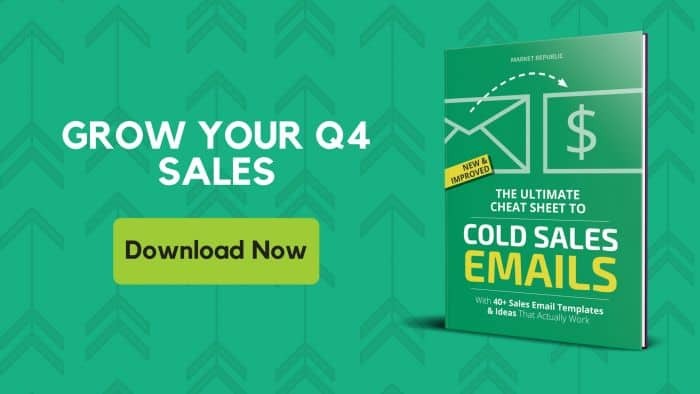 The exquisite cold sales email asks the right questions, heals the most painful wounds and makes those accolades shine brighter than ever. We could go all the way and say it – it hits the right spot. 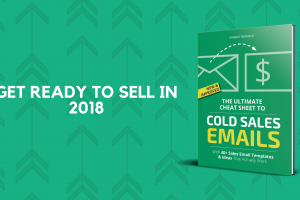 Learn from online resources, watch what others are doing and combine the brain powers of your sales and marketing teams to make the kind of emails that are perfect for your solution and your company. Good cold sales emails will never be unread. Finding decision makers’ contacts and generating leads may seem like an unnecessary hassle, but you will lose much more in the long run if you decide to save time now by not doing the lead gen. Whether you decide to do it yourself or outsource your lead generation activities – lead generation and SEO are an unavoidable part of your sales process. With high-quality lead generation, you will be able to contact the right people with the right message, measure and tweak your campaign accordingly with minimum effort wasted. Same goes for your SEO activities. Don’t postpone the optimization of your website, because every day you spend not doing your SEO leaves you farther from those first Google pages that could bring you hundreds of customers. Also, don’t forget to create content that can is relevant for your Ideal Buyer and informative. This kind of content is most likely to be found through search engine. You should not only explain how your product benefits your prospects but do the exact calculations. Help each and every one of your prospect realize how much money they could be saving or earning by using your solution. Honestly, there’s no better argument than money. Or if your solution helps them with something else like data or people management – do a quick explanation on how the data can be more comprehensive or people more productive. This can be done by using a demo version of your product or just by a simple presentation. Have a brainstorm with your marketing team to find out what works best when it comes to your current and potential customers. One of the oldest sales tricks in the book are urgencies and limited time offers. Let’s assume, you divided your solution into different pricing plans. Why don’t you offer the most expensive one at a lower price than usual as a Christmas offer? Let’s face it, most companies won’t need the most expensive plan, but knowing they could get the premium product for less money will trigger them to buy what they usually wouldn’t. Have a meeting with your marketing colleagues to see what is the best way to create an offer and to promote it, so it seems like a bargain to your customers. Maybe it’s the lack of time, but maybe you should just be honest with yourself – as a founder/manager/developer you don’t have what it takes to sell and sell a lot. So why don’t you save yourself the stress and hire a pro with all the right skills or maybe someone young, able and eager to skyrocket your sales. You can even find a freelancer or outsource your SDR activities. The sales pros will be able to dedicate their time exclusively to selling, that is if you decide to provide them the high-quality leads, enabling you to focus on the core business. If you have someone to help with marketing, you’re a lucky founder. Marketing will create content that sales can use in their outreach. Sales knows what customers need and want to hear and they know how to sell it. Are you sure your value proposition is well written? Are your messages clear and concise? Can the customer see what’s in it for him right away? Make sure to review your value proposition with someone from the industry who has a lot of experience and can tell you if there’s something wrong with your messages. Maybe you are selling too many things at once, making it hard for customers to decide. Can you focus on three pricing plans most? Can you try to sell only the best selling one or the most expensive one? Finally, are you selling to just any company you believe might need your solution? Don’t waste time on companies that are not the perfect fit for your business and don’t try to sell to people who are not in charge of buying and making decisions. If you still have trouble accelerating sales in your startup – contact us. We’ve helped startups like Twilio, Quid and Wiredrive turn their inside sales into a sales machine, we can surely do the same for you. Are you looking for the most effective lead generation strategies for your company? If yes, you’ve come to the right place. In this post, read about the five lead generation tactics that give optimal results when used together. 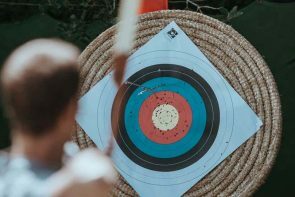 Depending on the industry you are in, your development stage, your targeted market and sales cycle, there are numerous growth „hacks“ you can use. Here is a list of a few growth-oriented tactics every company can use.